Everything you require in a serious work boot, they’re designed to withstand the punishment you put them through over and over. BootRatings has recognized the Timberland PRO Men’s Rigmaster work boot as one of the top work boots available on the market today. 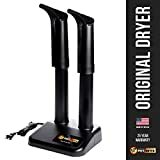 Below you will find detailed information on these particular boots that will assist you in determining if they are what you need for your hard-working lifestyle. As an ideal choice for those in the oil and gas industries, these boots provide additional features that are necessary for tough industrial environments. < img> Incorporated protection for your feet includes a steel toe that meets ANSI & ASTM standards, aggressive grip and slip resistant outsole, with heat and abrasion resistant technologies as well. Waterproof leather and membrane to keep your feet dry and comfortable. Quick release hardware to assist with getting the boots on and off in a hurry. Plus, the extra high shaft provides ample support and flexibility where you need it most. These boots are equipped with a round steel toe that meets ASTM F2412-05 and F2413-05 Electrical Hazard ratings and standards. They are designed to adequately protect your feet from compression and impact, plus guard against electrical shock if you’re working around electrical components. The work boots are constructed out of a waterproof full-grain leather and waterproof membrane which keeps the water out and allows your feet to remain dry even in the harshest circumstances. Here is some information on how to waterproof boots. The Timberland Rigmaster work boots are built to withstand harsh working conditions. Even after months of hard use, they manage to hold up well. They have a reinforced heel and Goodyear Welt Cast-Bond construction for a durable chemical and mechanical bond. Plus, the leather is abrasion resistant to prevent wear. Comfortable enough to wear long hours on your feet, they are incorporated with anti-fatigue technology that absorbs the shock caused by hard surfaces. The conical midsole is built with inverted cones that collapse and bounce back, returning energy to the foot. In addition, the anti-microbial single density Ortholite footbed supports your foot and prevents odor and sweating. The heel is also higher which helps those who have knee and back pain. An adjustable circumference allows you to create the support that is right for you. They feel rather warm in the spring time weather, so we are not sure how they will feel during the hotter months. In addition, there have been reports that the boots run narrow in size even when they are marked wide; some cramping in the toe area is felt. We would suggest if the boots do not fit properly, return them for another size. Larger stores such as Amazon have an excellent return policy. It’s possible that you might have to purchase some additional insoles for comfort in the footbed area. Check out our top insole reviews. 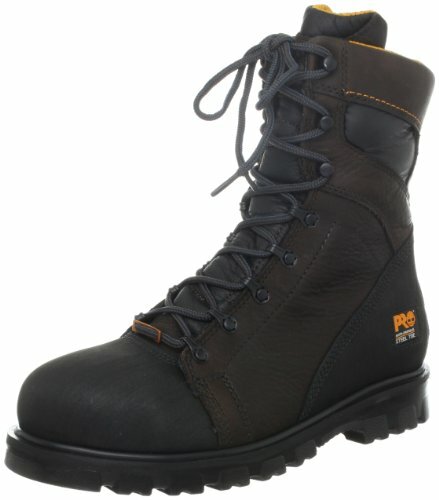 These work boots are meant for those who work in hazardous conditions that require extra protection. Line workers, cable installers, oil riggers, and heavy construction are all examples of jobs that these boots would benefit. The steel toes with electrical hazard protection keep you and your feet from getting injured. Superior traction and grip allow you to do your work with confidence and not worry about slipping. The Rigmaster work boots are quick release, lace up boots with a 7.75” inch shaft measured from the arch, which makes it a nice mid length work boot, plus it has a 1.5” heel with a 1” platform. As mentioned previously, they were specifically designed for those in the industrial field and not an office job.